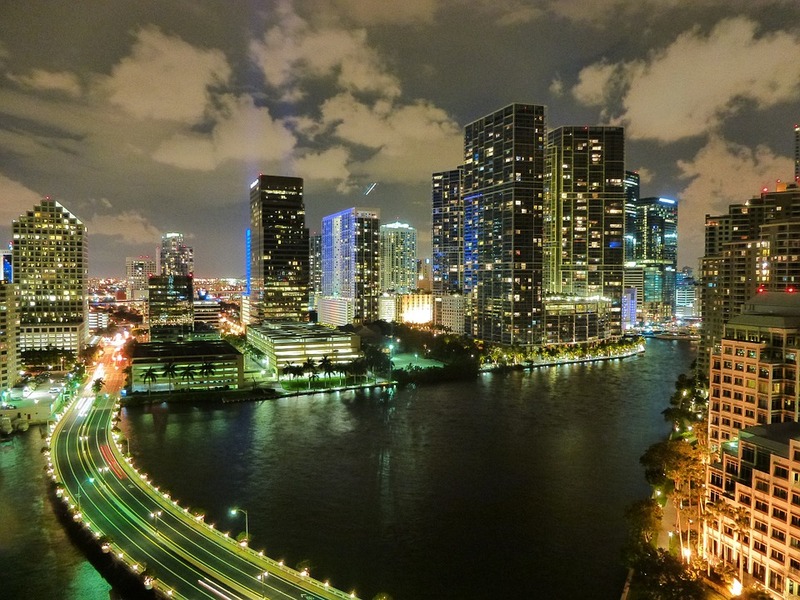 The history of Miami is not as grandiose as some other places in the country. Still, every corner of Miami has a soul and has at least a very cool, modern story. This very fact makes Miami as appealing as it is. The best way to explain what these alive corners are is through the iconic buildings that you can find in abundance in this epic city. The biggest and most valuable element of Miami is the fact that it is a melting pot of different cultures and approaches to life. And this is crowned with the epic architecture that tells numerous stories about the place. 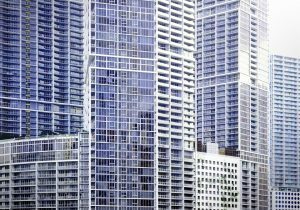 This article will cover a list of 5 of Miami’s most iconic buildings. 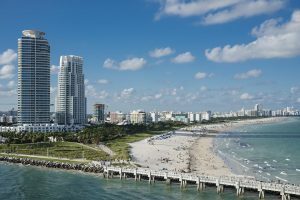 This list will take you on an architectural journey/guide to Miami, listing some things that you absolutely can’t miss seeing. At least in our opinion. Pro Movers Miami always gets jitters when they see this architectural marvel. The list will include 5 of our most iconic buildings and the explanation as to why they have made the list. Please do keep in mind that this list is somewhat subjective as it is the list of buildings our editors like the most. It may differ from what you like. And this is absolutely fine. If you think the list is missing something we would love to hear your thoughts! And it doesn’t matter if you are relocating to Miami from a long distance, or you live here all your life. The place will leave everyone intrigued! Without any doubt, the top of our list will be crowned with The Fontainebleau! If anything has a rich history than it will be this place. Without any surprises, this architectural marvel is usually associated with the LIV and various pool parties. Still, this South Beach hotel has a much richer history than that. The fact of the matter is that you need to be just a tad older to be able to appreciate the rich history behind it. Opened in 1954, designed by an infamous Morris Lapidus, this enormous resort made it to the top of may architect lists over the years. And with good reason, too! Fine, it does house the country’s hottest party scene or at least one off. But there’s more to it than that. The resort was home to many famous films such as The Bellyboy starring Jerry Lewis! Also, Goldfinger was filmed in it, the James Bond classic. This alone has made it a place that many people across the globe wish to see for themselves. The casino room where some of the iconic Bond scenes were shot is the first go-to place for many, including myself. Still, if you are not that enthusiastic about the rich culture hidden behind the doors of The Fontainebleau, you will still enjoy the amazing resort for what it is today. 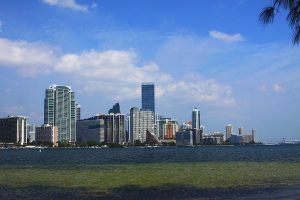 It is one of the places in Miami that you must see! This place is absolutely amazing. Furthermore, if anything can scream “iconic buildings” than it is this place. But the funny part is that this is a garage. And when you hear that one of the most iconic buildings is a garage you can get two different thoughts. Fortunately for the city of Miami, the vast majority of the people visit get intrigued by the fact that the most iconic building is a garage. And why shouldn’t they be? This architectural marvel located on the west end of Lincoln road is currently being sold for 283 million dollars. Yes, you read it right. Originally designed by Herzog and de Meuron, this open-air structure is seven stories high. Aside from parking spaces, it homes some office space, a retail store, as well as a very mysterious rooftop penthouse. You probably expected this one to end up here. You know what it is and you know where it is. Still, there are some cool facts about the place that you most likely don’t know. First of all, it has historical value. It was built in 1930 by one author Alden Freeman. Initially, a South Beach apartment later turned into a hotel had more than a few names over the years. Initially, it was inspired by the Alcazar De Colon from Santo Domingo. The main character in the story of the revivifying of this place was Gianni Versace. It is thanks to this man that the place got later named as the Versace Mansion. And for a good reason! Not much to say about this. It may not be the most interesting building in the world, but if we are talking about iconic buildings – this is as iconic as it gets. The building was modelled after Giralda Cathedral Bell Tower in Seville, originating from the 1920s. It was designed by George A. Fuller, and it was long used as a reception centre for refugees from Cuba in the 60s and 70s. Lastly, no list can ever exist without the Miami Tower. The tower was the feature of the 2012s Florida Architecture: 100 years. The place is hard to describe. It is simply an architectural marvel. It is a very vibrant skyscraper and it alters its colours frequently, most say based on the mood. Usually, the colours are thematic for some local or global event. Miami Tower always stands out. We hope you enjoyed our list! Tune back for more! Give us your feedback and propose a list on your own, or ask about quick relocation on a budget. We have all the answers!